I finally started a test knit for Taiga Hilliard Designs-the Juliet cardigan. I'm knitting it for Charis. A few weeks ago, I took her to Michaels and let her pick the yarn for the cardigan. Big mistake! She picked Red Heart yarn. Ugh! I am not a fan of acrylic, but I gave her my word, plus it will be durable without any special washing instructions. She choose the bon bon print colorway. Why? Because it has both the colors from Frozen. Of course, why would I even think to ask her, "Why?" When we arrived home. I took the label off and placed the skein into a lingerie bag. The next time I had to wash clothes, the lingerie bag went into the washing machine. I remembered coming across a pin on Pinterest and decided to try it out. Verdict: It actually worked. Yes, the yarn still feels plasticky, but not as bad as it did before hand. 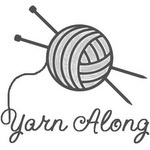 I plan on washing acrylic yarn again in order to make it softer. Note: To my knowledge "plasticky" is not actually a word. After conferring with my husband, he suggested spelling it "plasticky" because of how "panicky" is spelled. If you have an issue with me "inventing" a new word, don't. If Shakespeare could do it, why can't I? 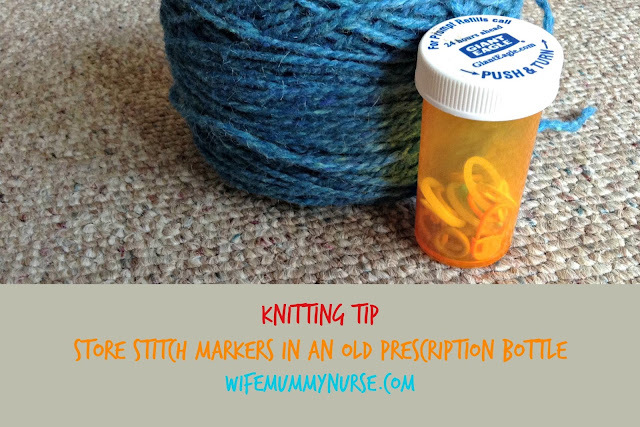 I used to have trouble keeping my stitch markers in one place, but one day, I was about to throw away an old prescription bottle. Light bulb moment! I kept the bottle, took the label off, and started storing my stitch markers in it. I wish I could knit or crochet. I have tried, I'm just not coordinated enough! That's a great place to keep your markers. I have used the mini colored hair elastics for my markers and keep them in a little change purse that can clip on my needles... although it's been a few years since I had time to pick up my needles. 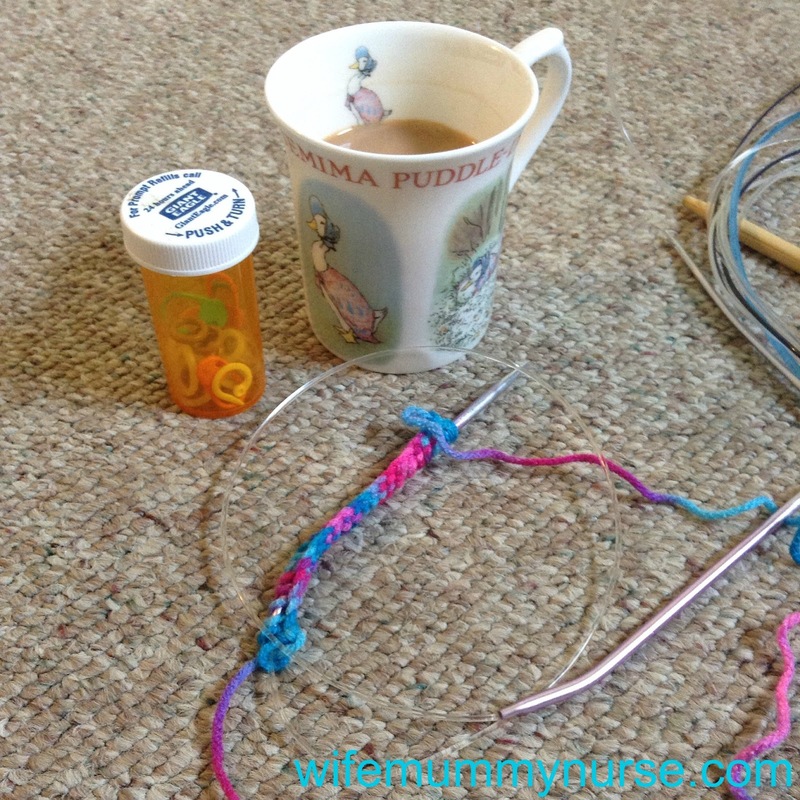 I've used my daughter's hair elastics as well! Good idea for keeping your markers. I consider myself a beginner knitter. I have only knitted scarves, a hat, and 1 1/2 pair of socks. I need to get back to it. That's a great place to store your clips. 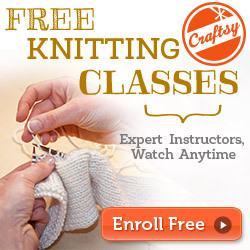 I really want to learn how to knit or crochet. What a creative place to store your things! Great job and way to recycle! God bless! My friend was just telling me the other day how she was going to teach me how to knit! This reminds me how I should really follow up on that, lol. Great post! 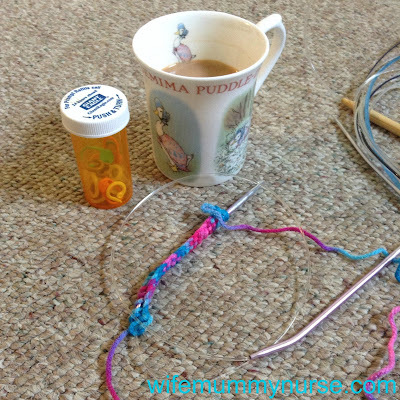 I love knitting, but I haven't yet had the courage to try circular needles. It's one of my knitting goals for this year, though. Love crafty people!! I wish i was one! I can't get past a basic stitch with knitting but I did recently try circular needles to knit a baby blanket for my daughter.